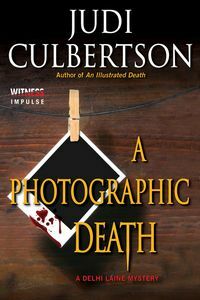 A Photographic Death by Judi Culbertson: Synopsis and Online Purchase Options. Synopsis (from the publisher): Nineteen years ago, Delhi Laine's two-year-old daughter disappeared. After a frantic but inconclusive search, authorities determined that she must have drowned, her body washed away from the picturesque English park in which she had been playing.